Two summers ago I had the chance to travel to the West Coast of both Canada and the USA. One of the places that I will never forget from that trip was Lopez Island, where I took a watercolour workshop with Tom Hoffmann. The skies on Lopez are amazing. The clouds must swirl around the San Juan Islands constantly because they often look like smudges in the sky. When I returned home that summer I painted a full sheet watercolour of the view of Mackaye Harbour, but I never got around to photographing it until today when I was shooting some other large format watercolours. Wow, I love the moodiness of the sky! Great! Thanks Gail. And you know Lopez, right? Dramatic skies and sunsets that last forever. This is totally breathtaking Shari — I love it! You can tell everyone that you have your own island! I guess Sue’s last name is Mackaye! So dramatic and so inviting into the scene. It was a dramatic sight Janice. thanks! You must have similar views from where you live. It’s such a spectacular area. Thanks Sharon. I loved Lopez too. Next time I will definitely visit some of the other islands. Beautiful, rich, dark color! I am impressed! Wow, this is really something else! You really captured a stunning moment. Wow, what a luscious, fluid sky! That is so amazing, Shari!!! Wow! I am curious, for a whole sheet, what size brushes did you use? Did you use flats, rounds, other shapes? I am working on sizing up from 1/8 sheet size sketches and 1/4 sheet size “paintings,” such as mine are. Any tips for going large? Thanks! Go with big brushes Janine. I use 2″ or even 3″ flats when I start these off. I wet the whole sheet first and worked most of it wet-in-wet. My big brushes look like house painting brushes. I’d love that Mary. You should suggest it to Craftsy. oh Shari – this is such a powerful and moving sky. What paper is this on? This is on a full sheet of Fabriano Artistico. Another paper I love. Wow! You’ve really captured the dramatic view from Lopez! Beautiful! We’ve had northern light displays recently too, but at 3:00-4:00 AM! You guys have such dramatic skies on the West Coast. Can’t wait for next summer Missy!! Beautiful West Coast evening sky! wow that is spectacular ! so moody!! I’m excited too because I’m doing a Tom Hoffman workshop in April in San Francisco and I’m hoping ot learn to work big! Suhita, I am so jealous. You will love it and I can’t wait to hear all about it!!!!!! This is so nice. 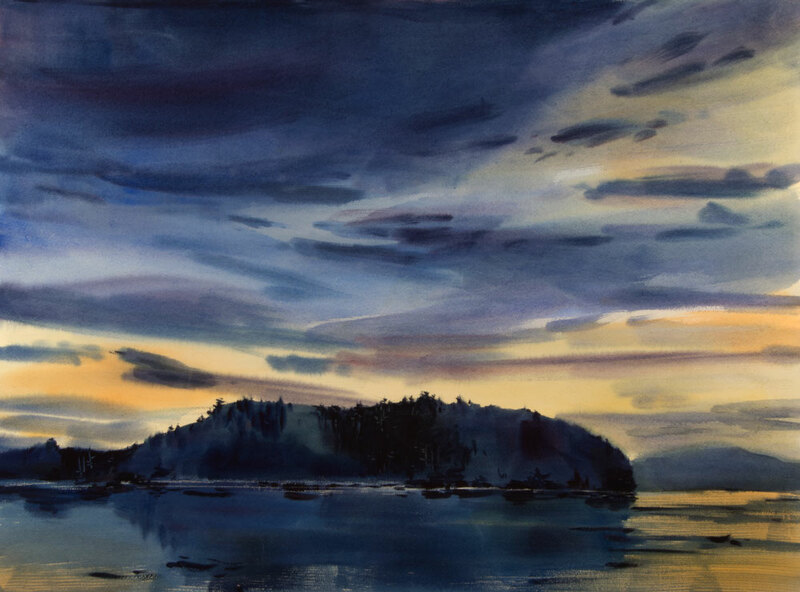 I’ve recently become aware of Tom Hoffmann’s work and am considering taking his workshop on Lopez Island. Can you tell me if he gears his workshops to all abilities. 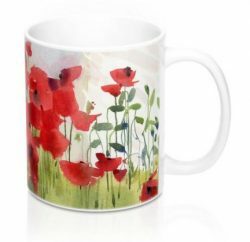 I’ve taken both of your online craftsy classes (which I loved) and Liz steels watercolor classes. Lopez island is just a short hop away from Alaska, with many of the same outdoor scenes. Hi Margie, since we communicated by email I won’t repeat the same things here. I hope you will love the Tom Hoffmann workshop. I know you will love the views on Lopez. Shari, this is wonderful and captures perfectly the look and feel of the San Juans, the water and the sky. I keep coming back to this. I think it’s the drama and the serenity together that make it so compelling. I just loved the whole Lopez experience. Thanks so much for writing Vicky. What can I say??!!!! Just gorgeous! Love the colors! !